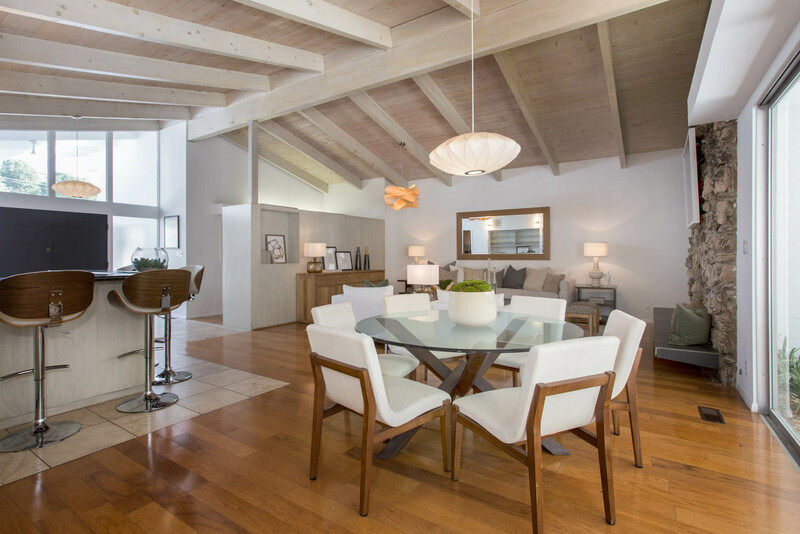 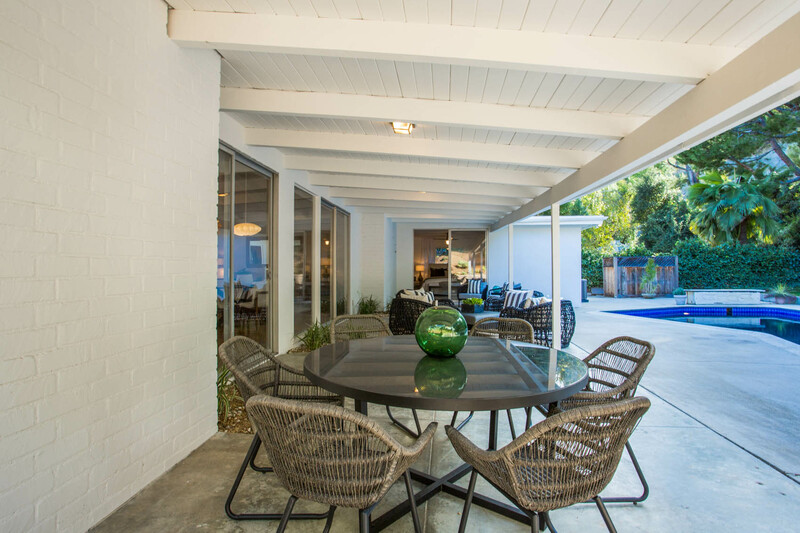 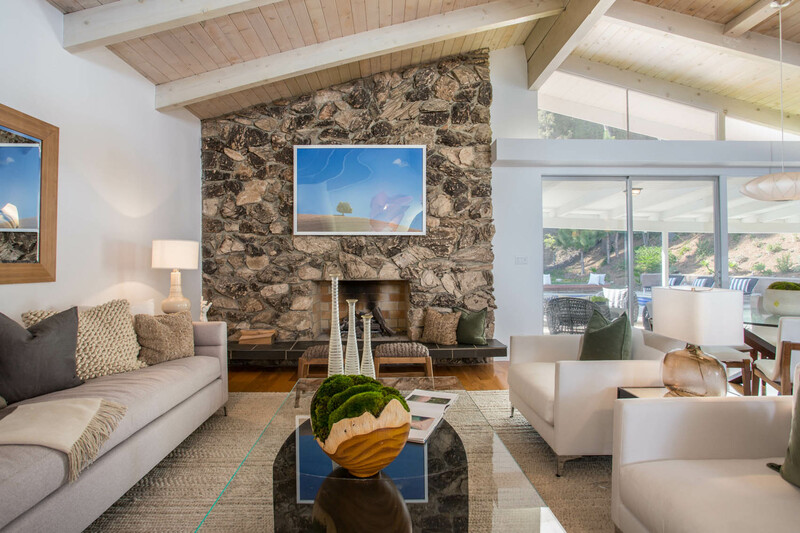 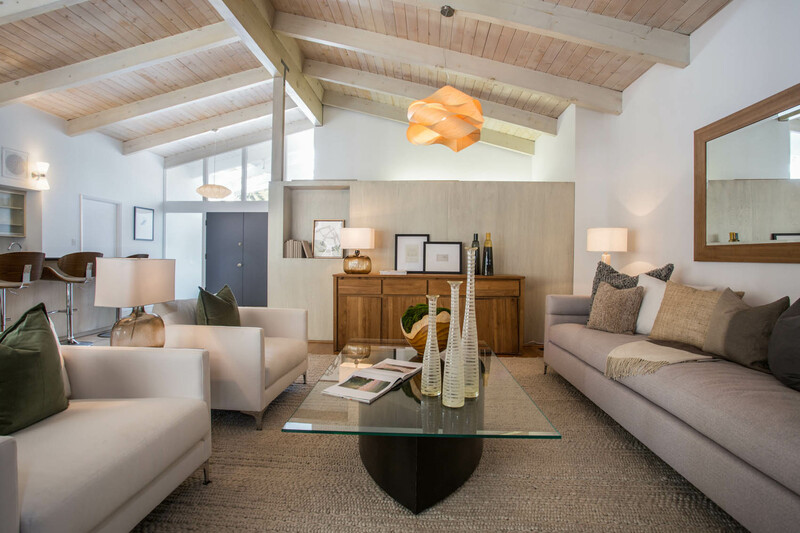 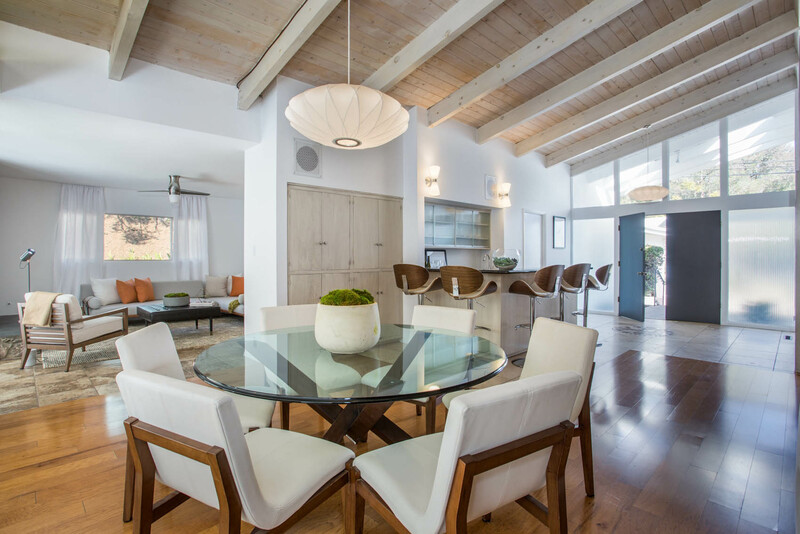 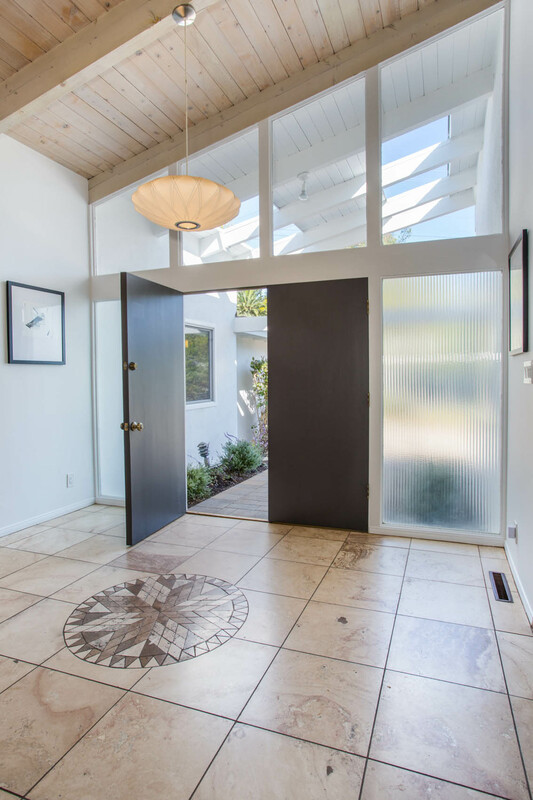 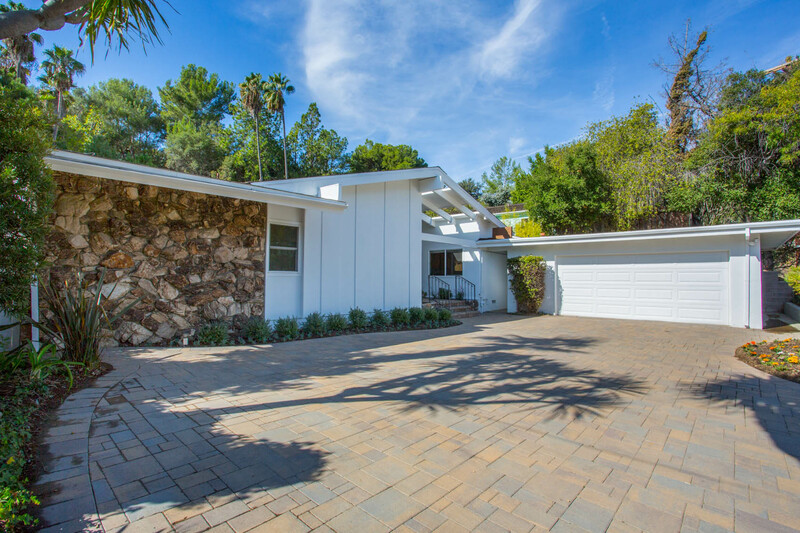 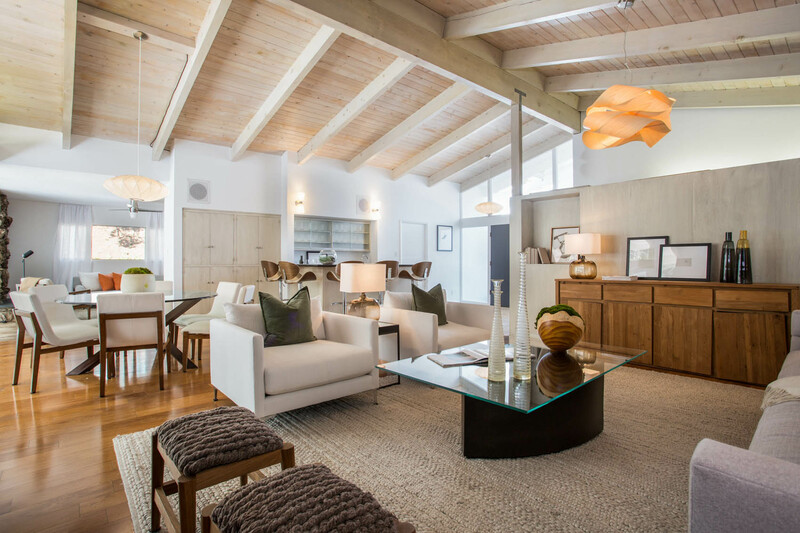 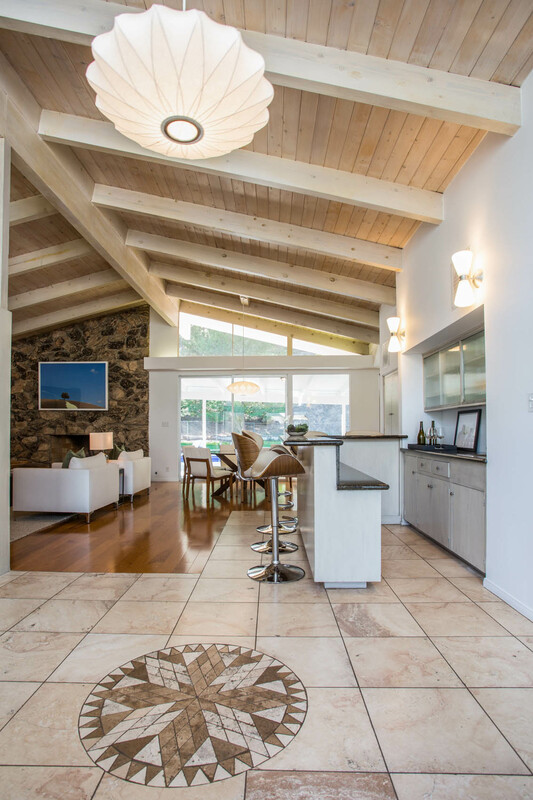 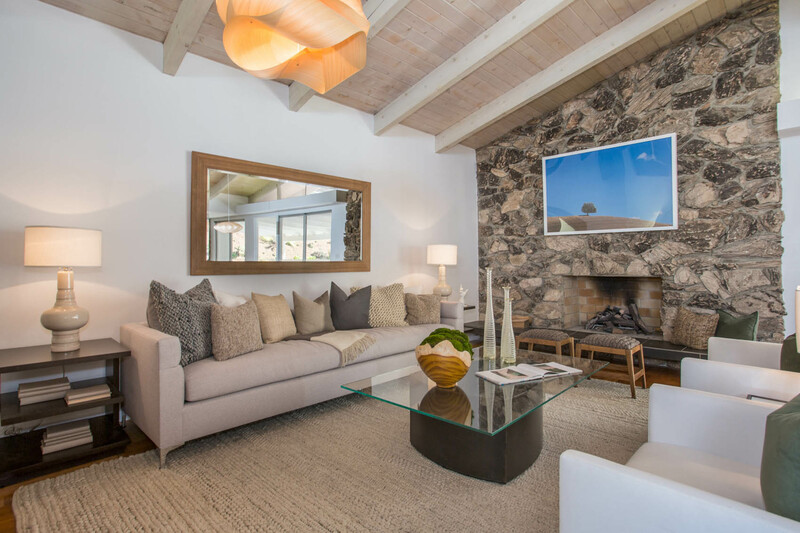 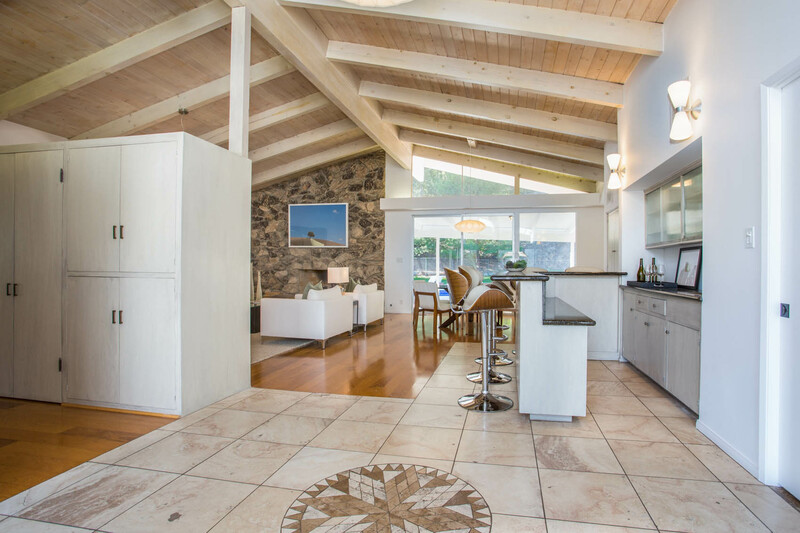 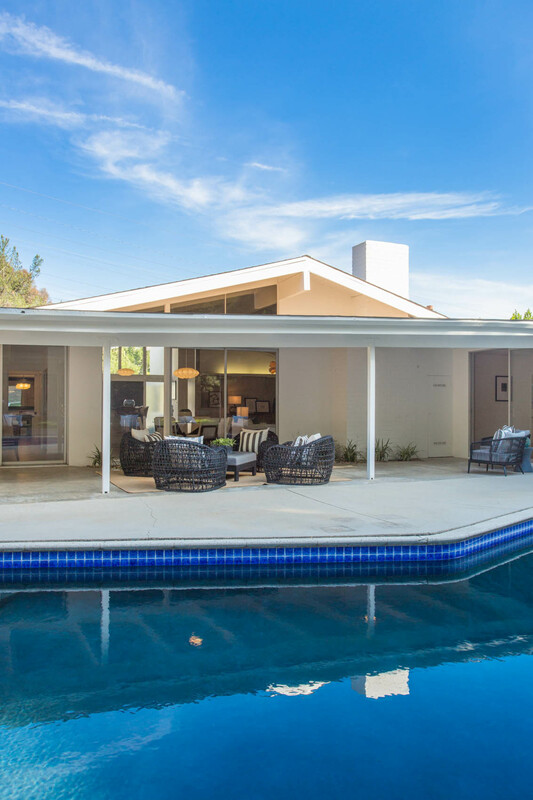 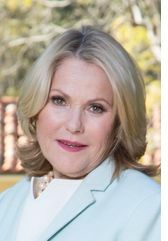 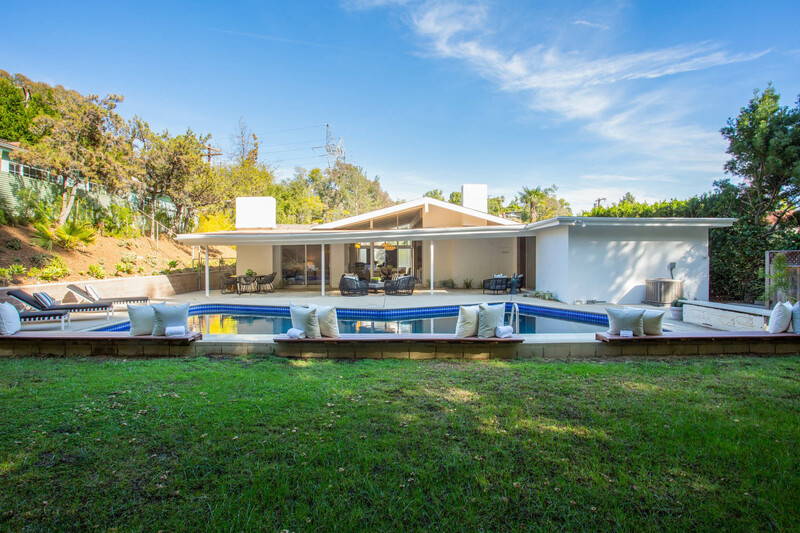 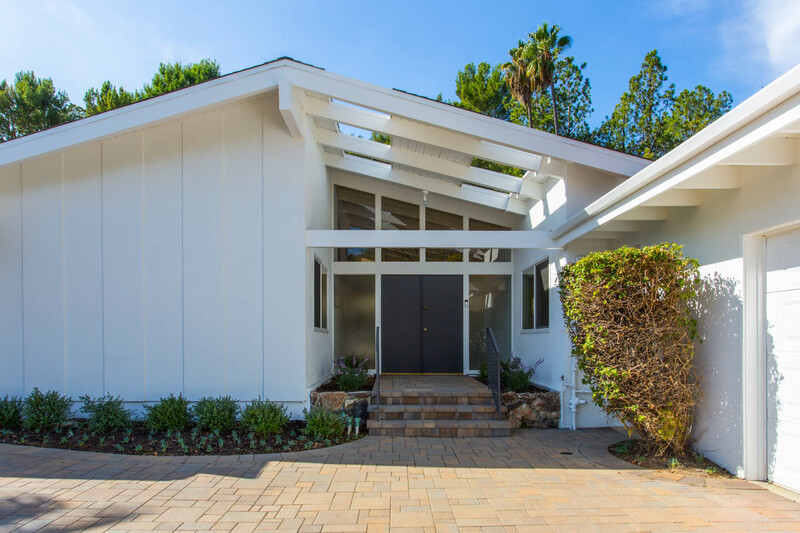 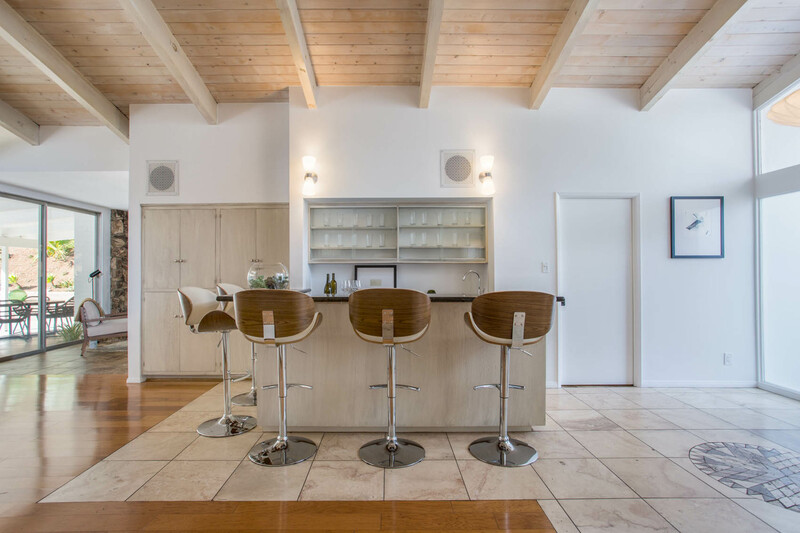 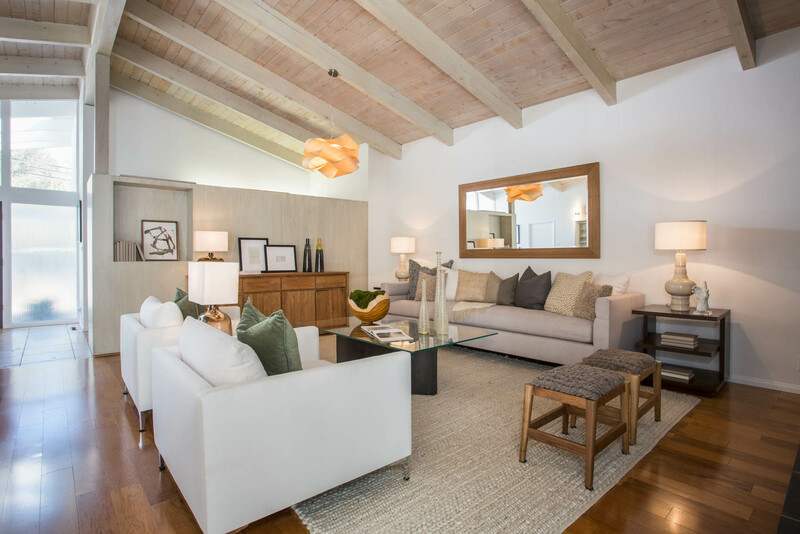 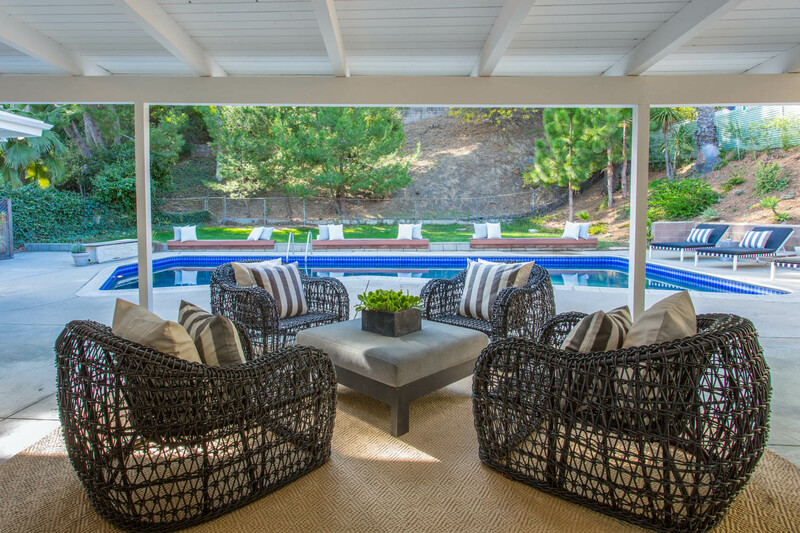 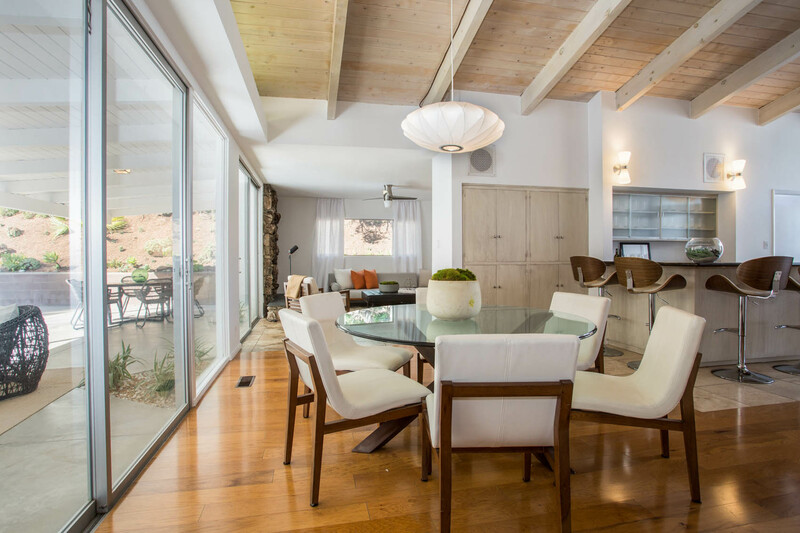 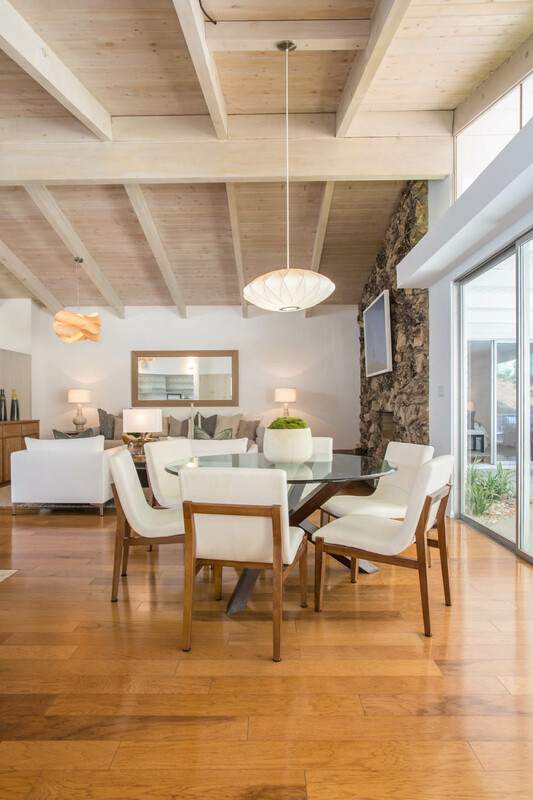 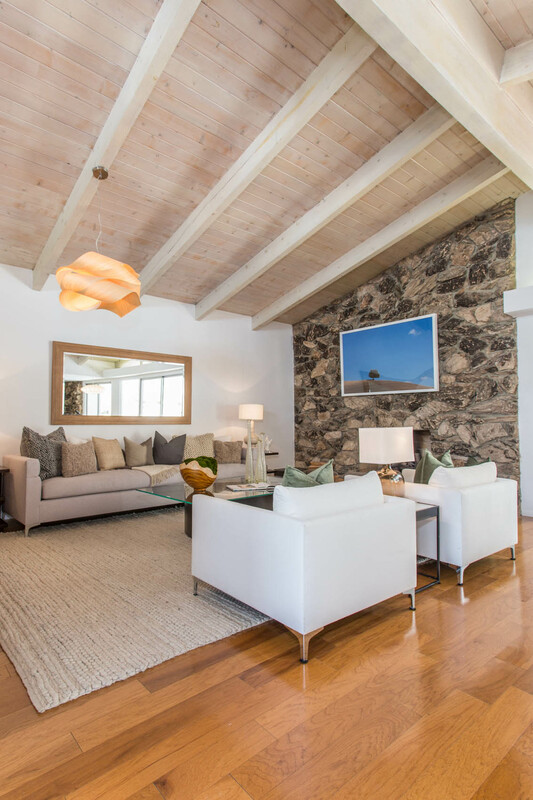 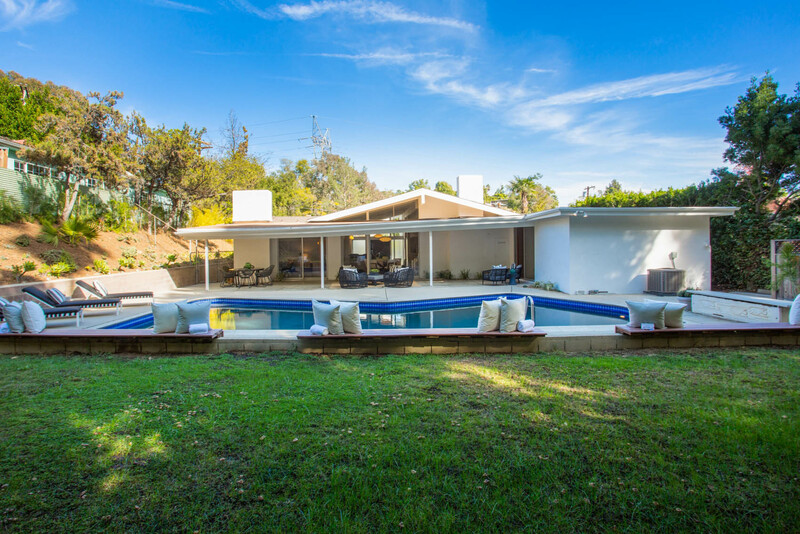 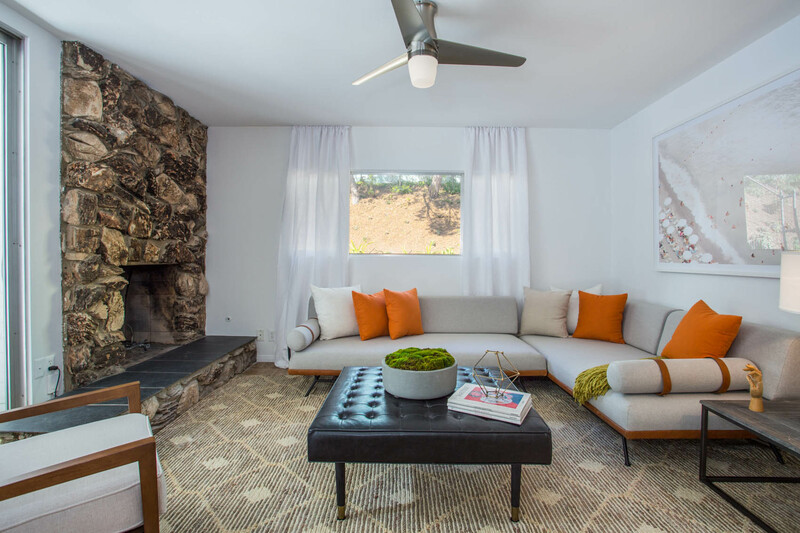 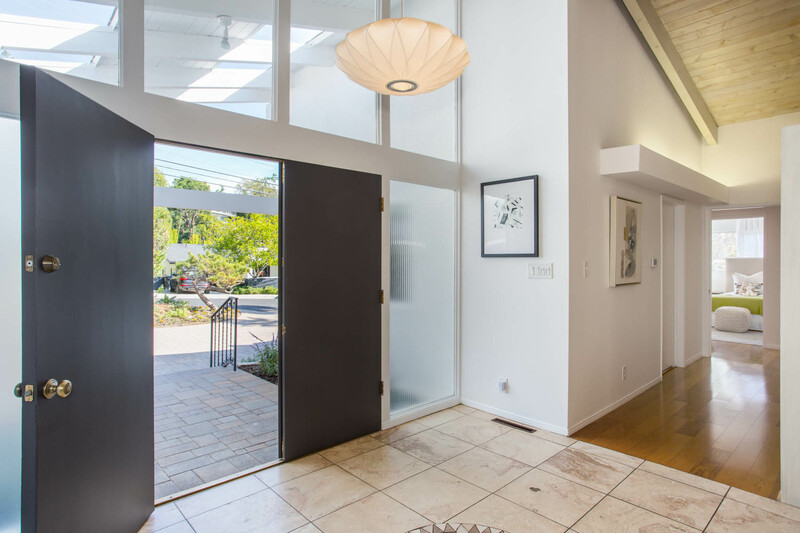 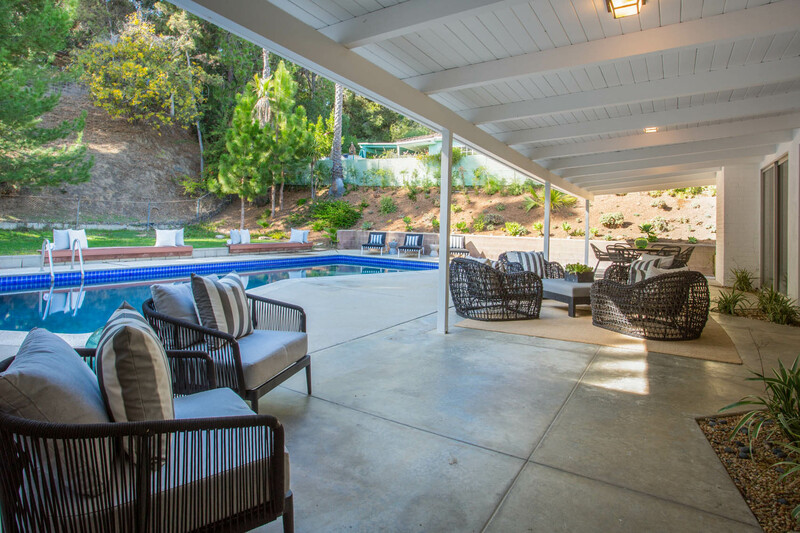 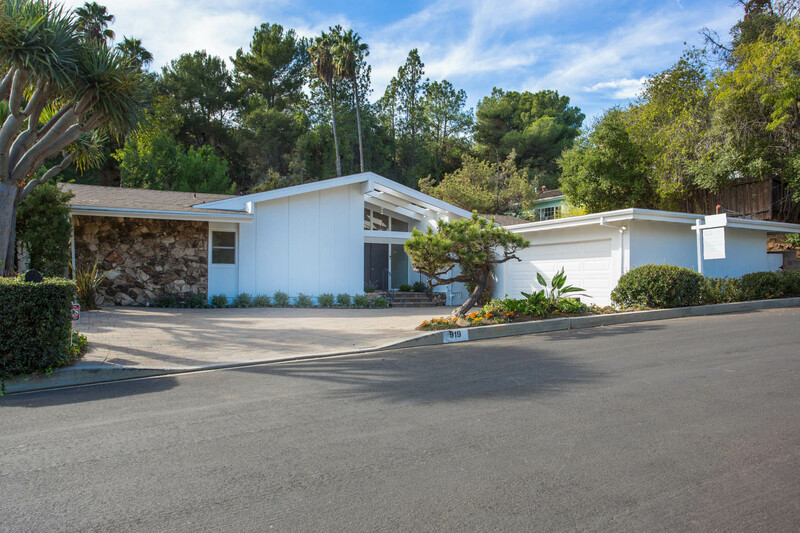 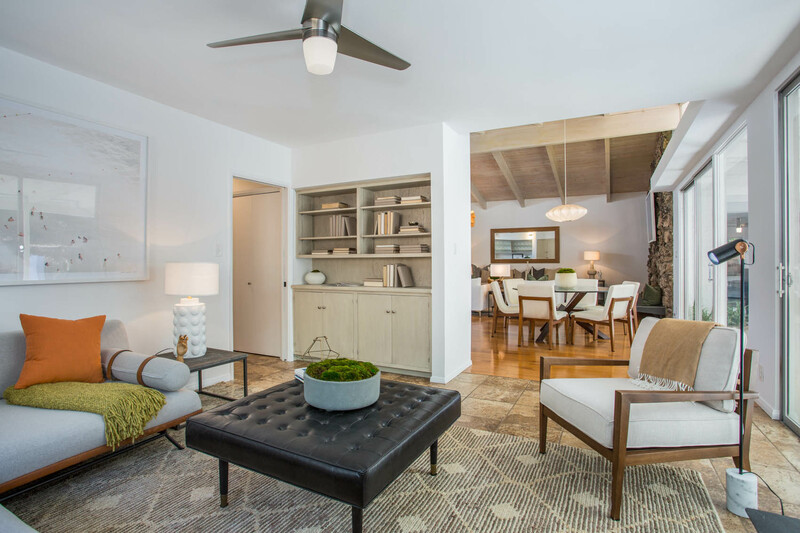 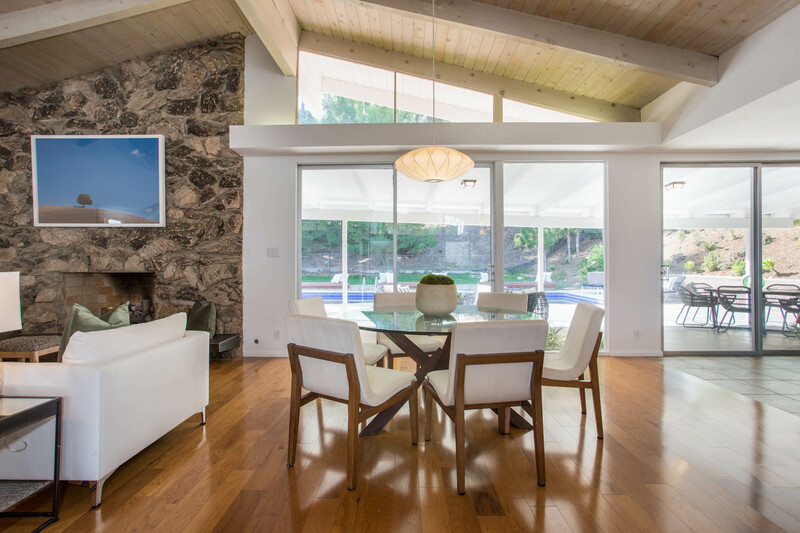 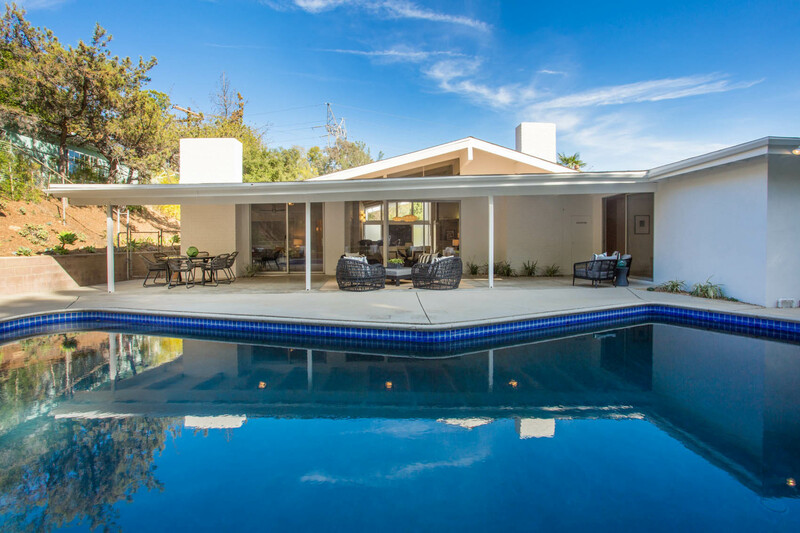 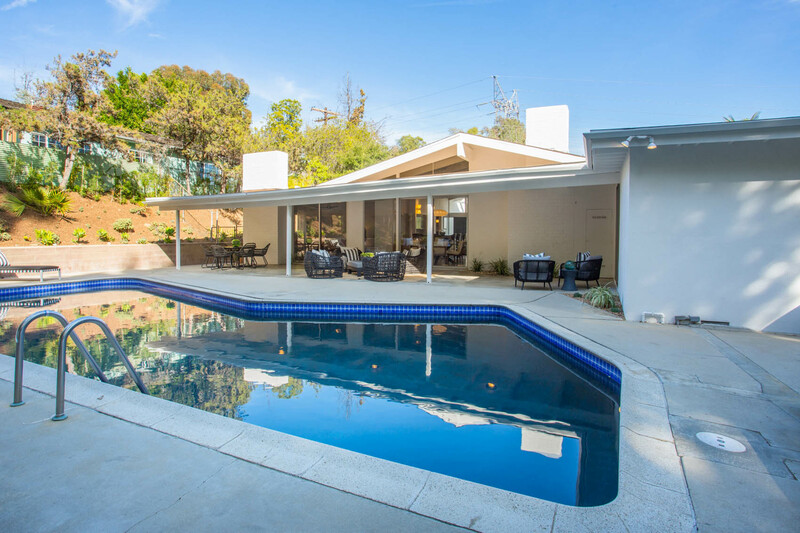 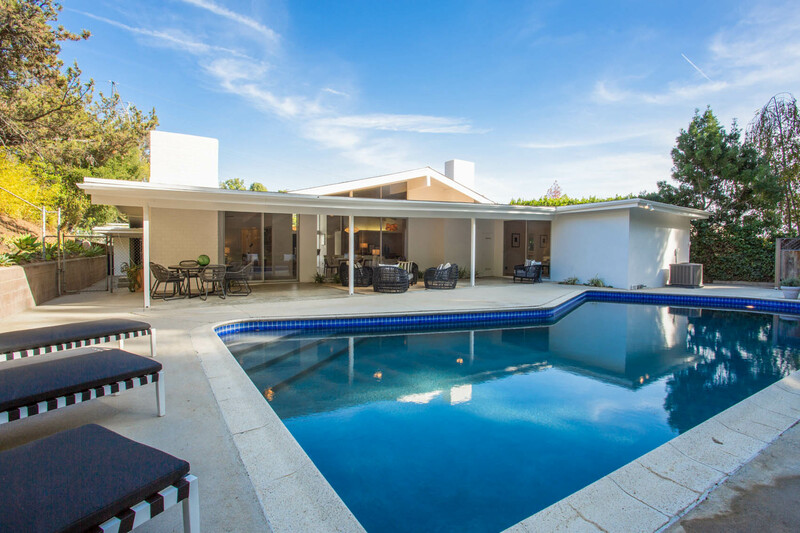 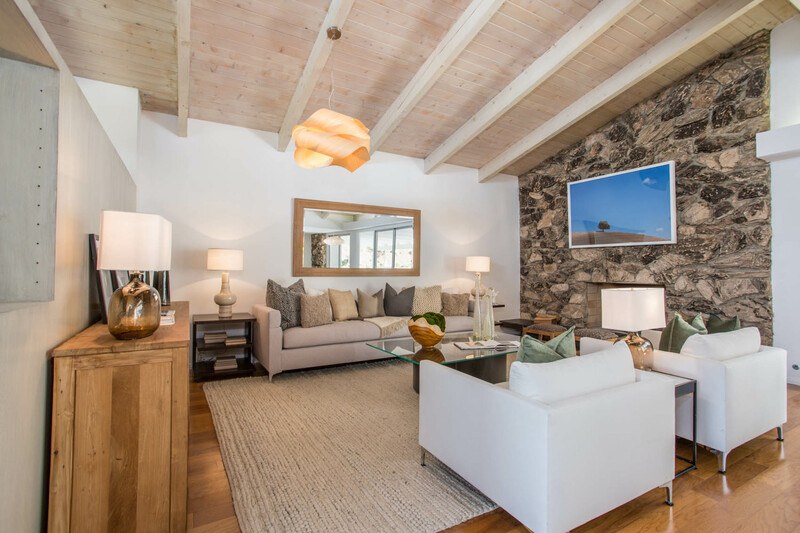 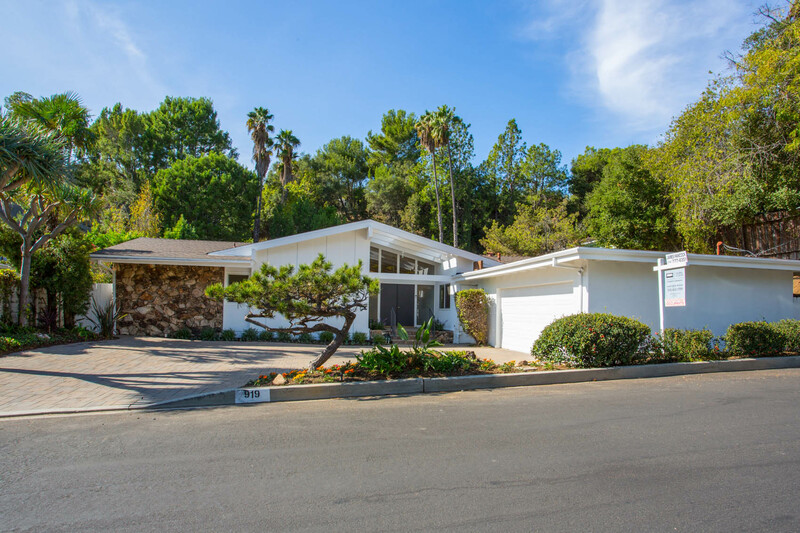 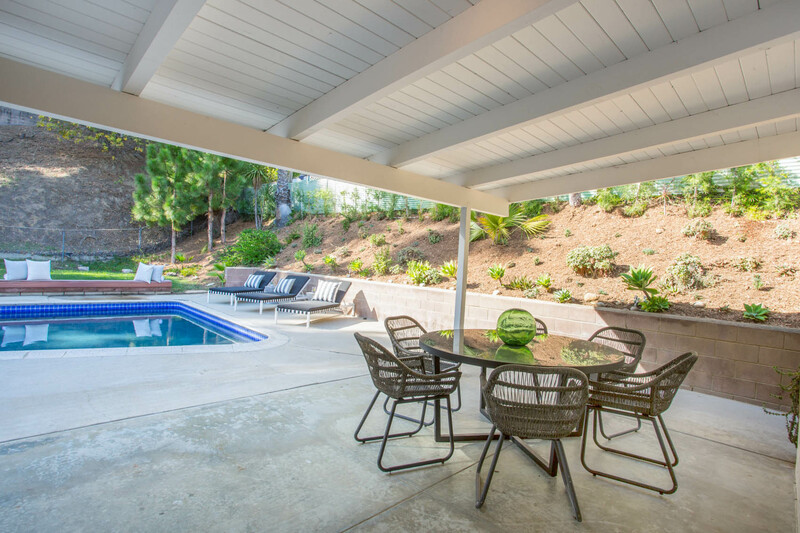 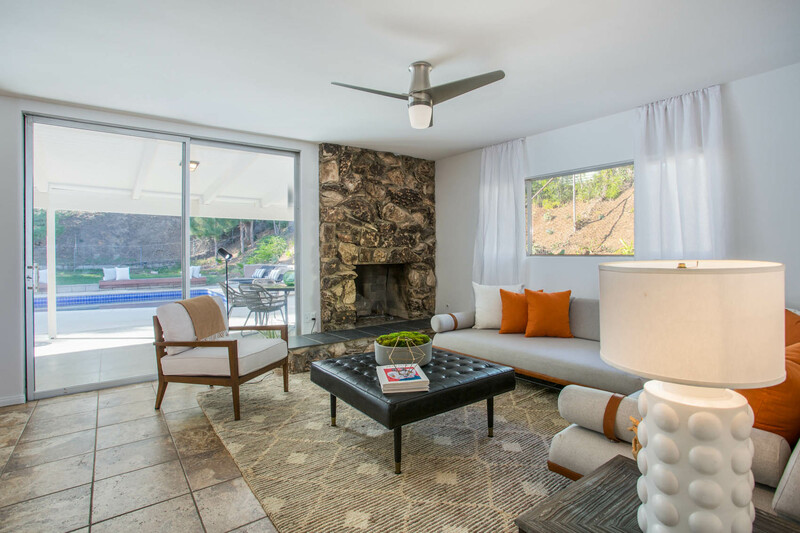 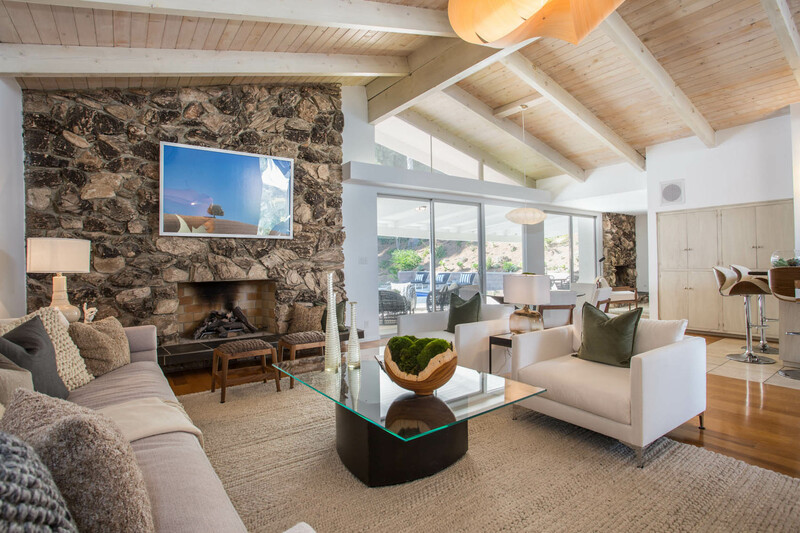 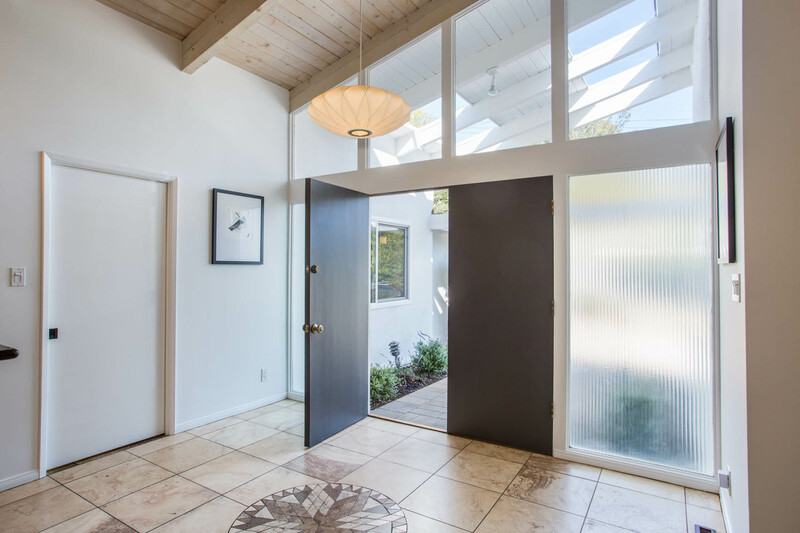 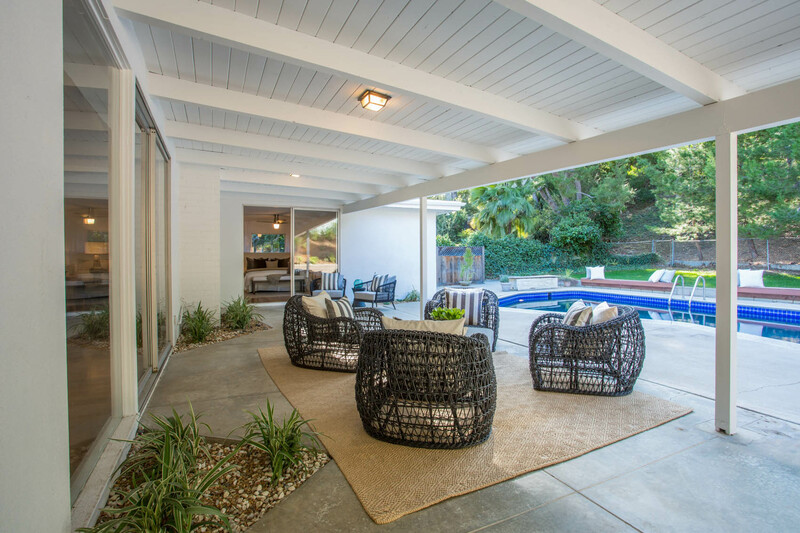 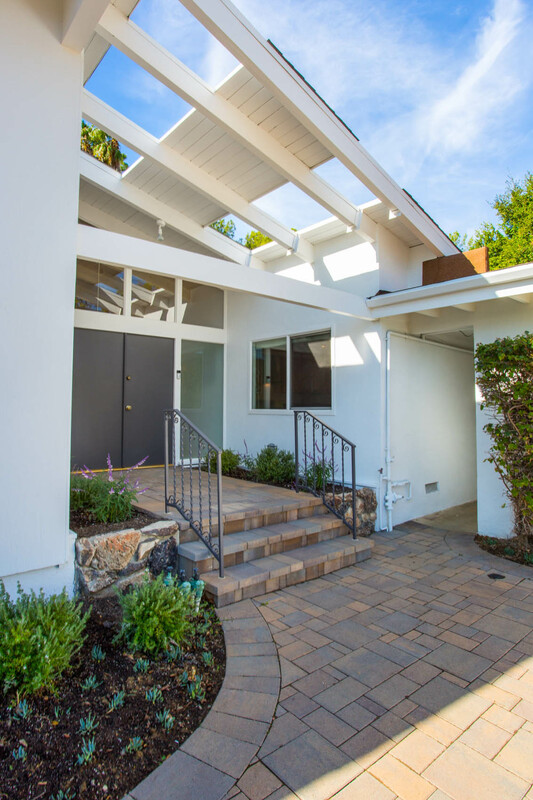 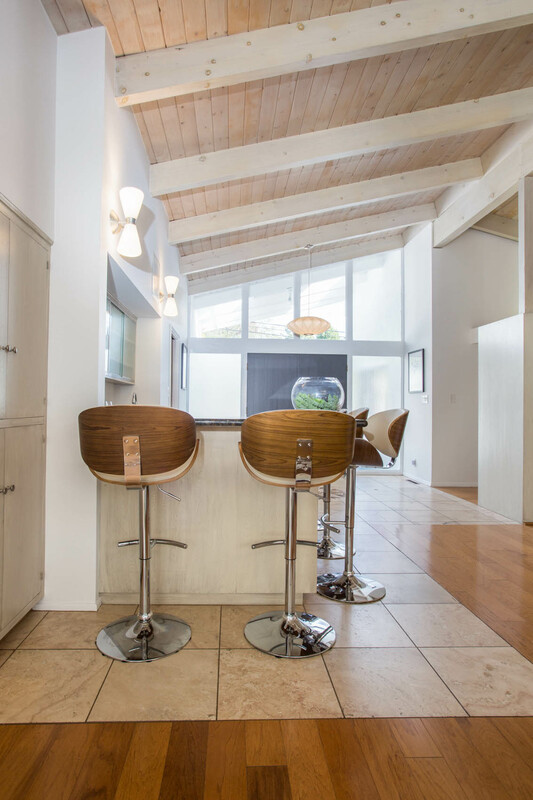 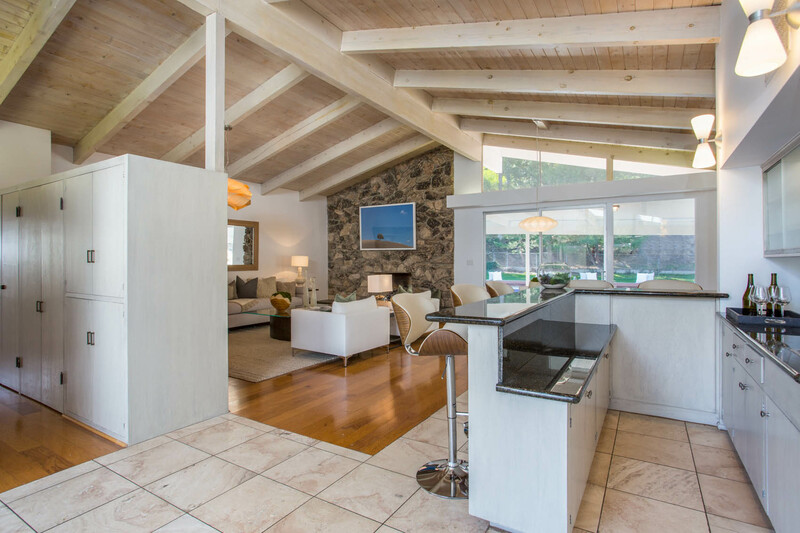 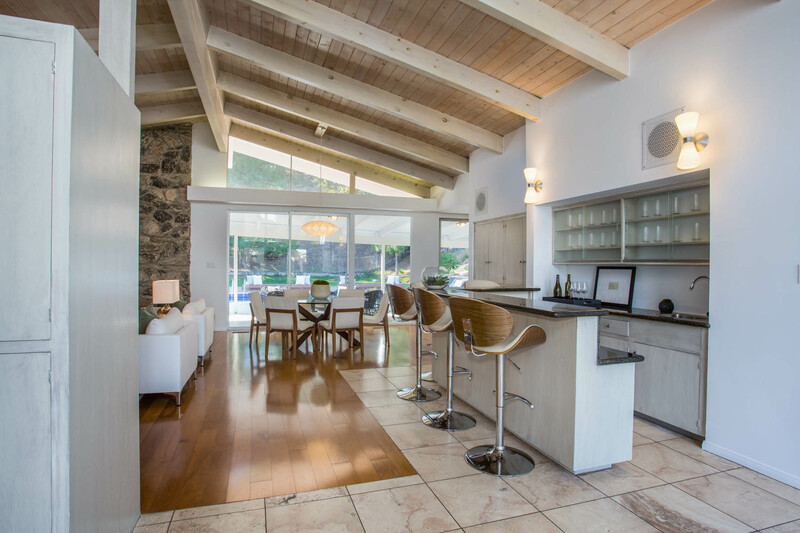 Amazing Custom Mid-Century Home built for current owner, recently remodeled on large flat lot approximately 14,932 Sq ft. 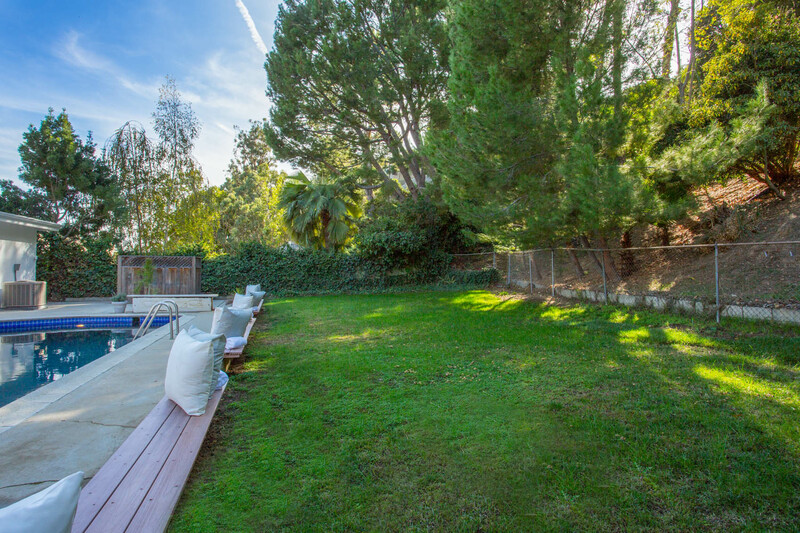 Enter this recently remodeled home to a spacious light filled Living Room with high vaulted ceilings, fireplace and wet bar, Dining Area and Family room w/ FP, all which open on to a comfortable covered & open patio overlooking a sparkling swimmers pool, a large grassy yard (perfect for practicing soccer) that is private with lovely mature trees and landscaping. 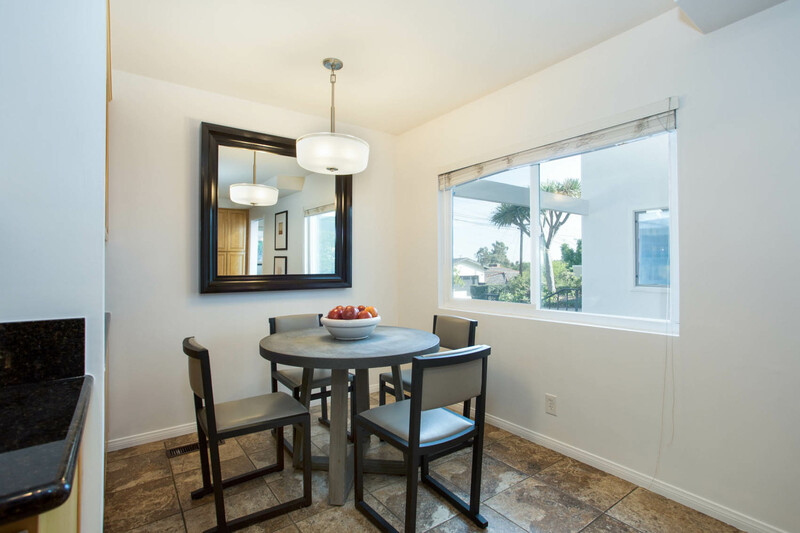 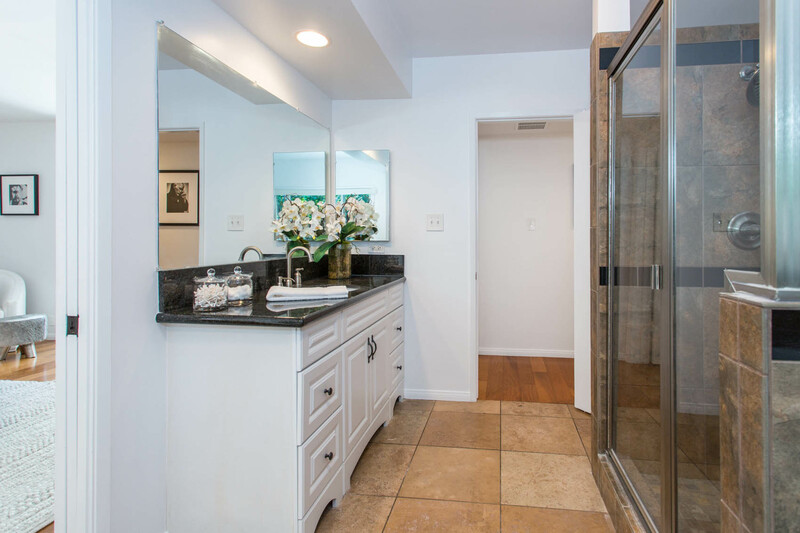 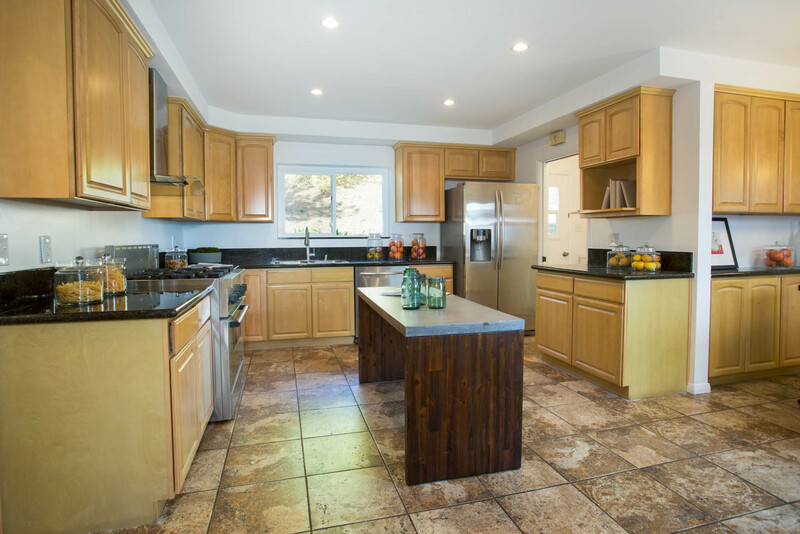 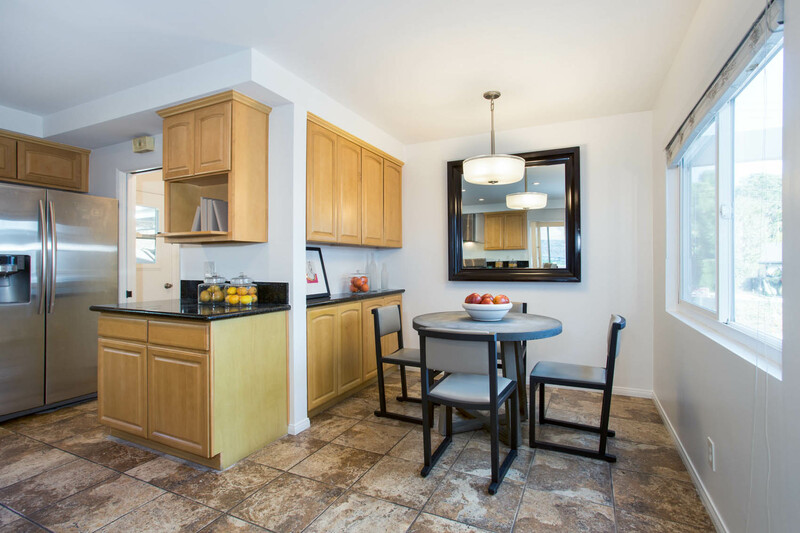 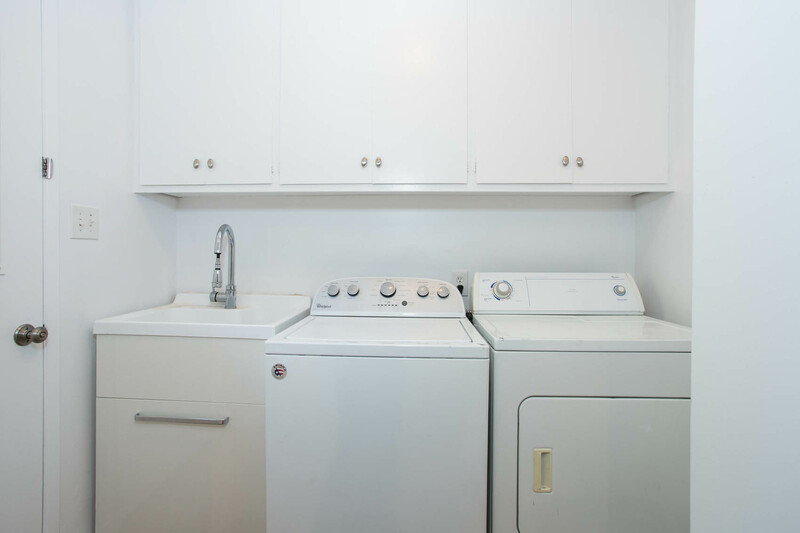 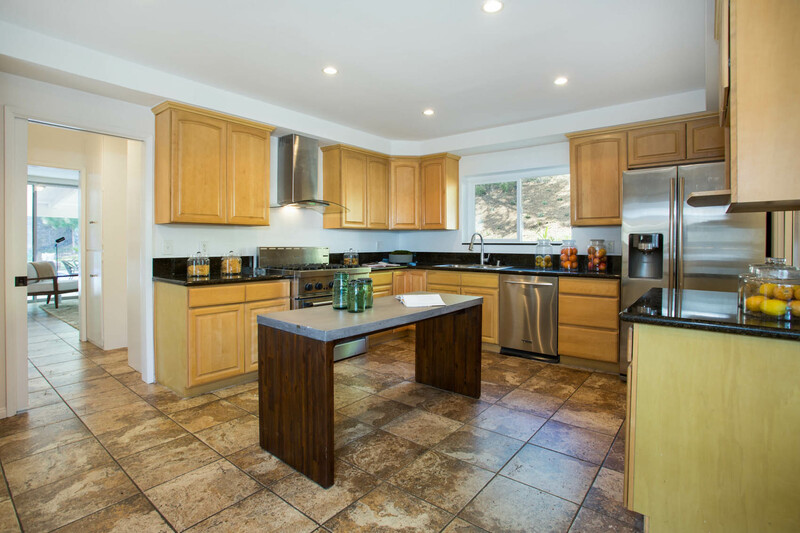 The remodeled kitchen has a stainless Thermador gourmet cooks stove and a large breakfast area. 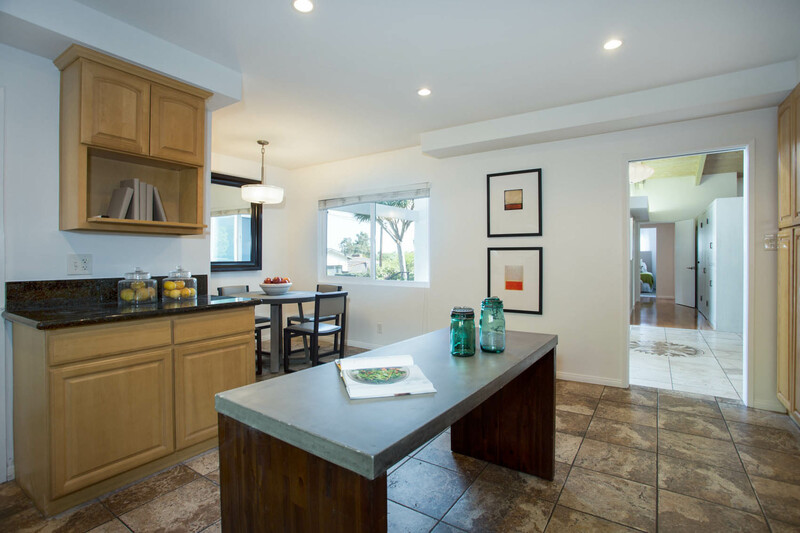 Excellent floorplan for entertaining and families. 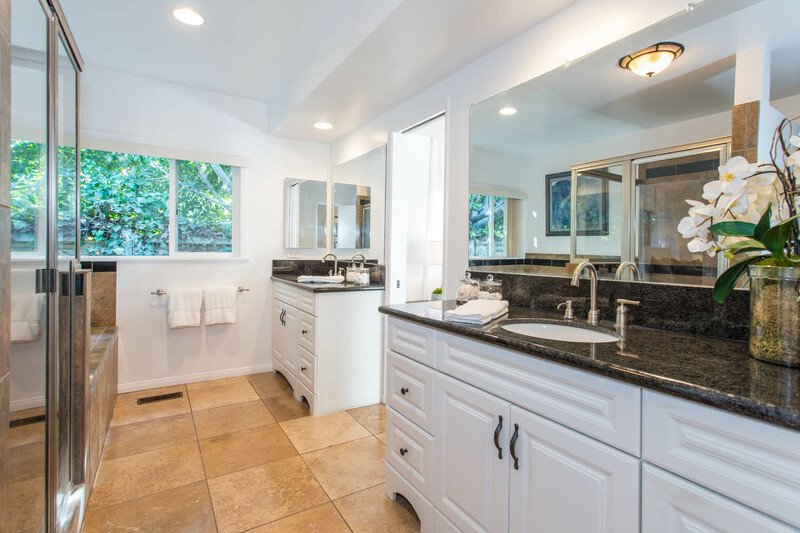 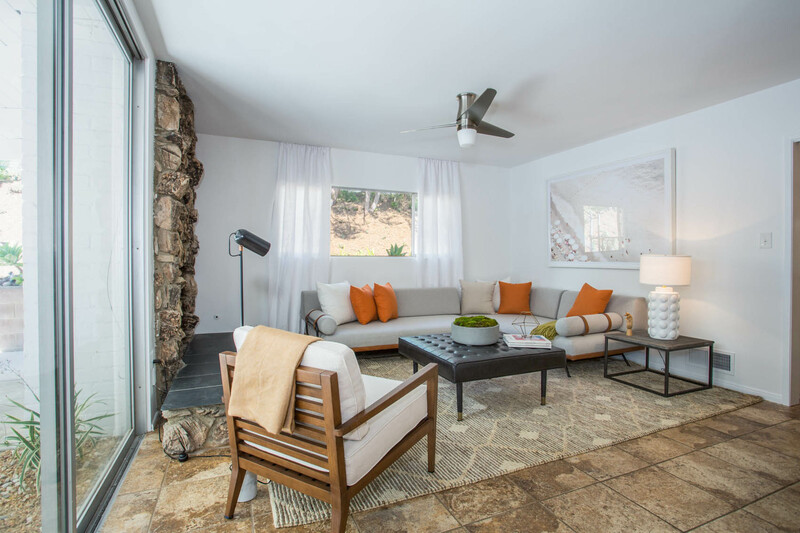 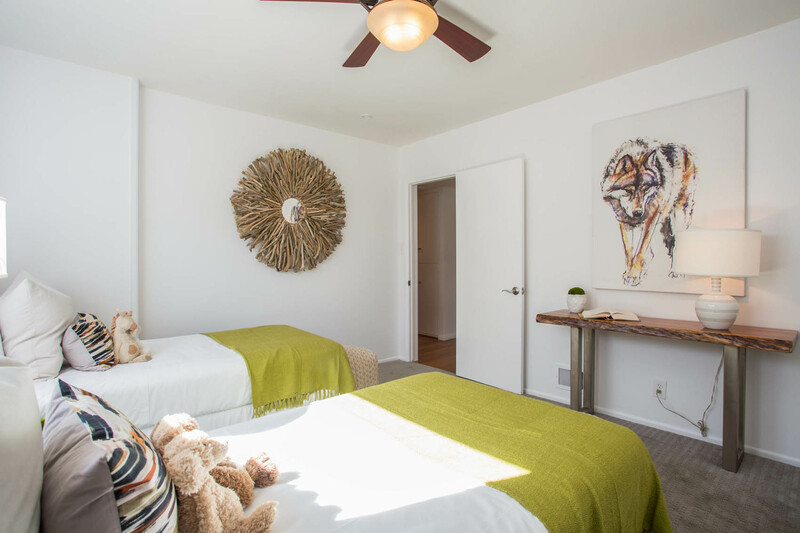 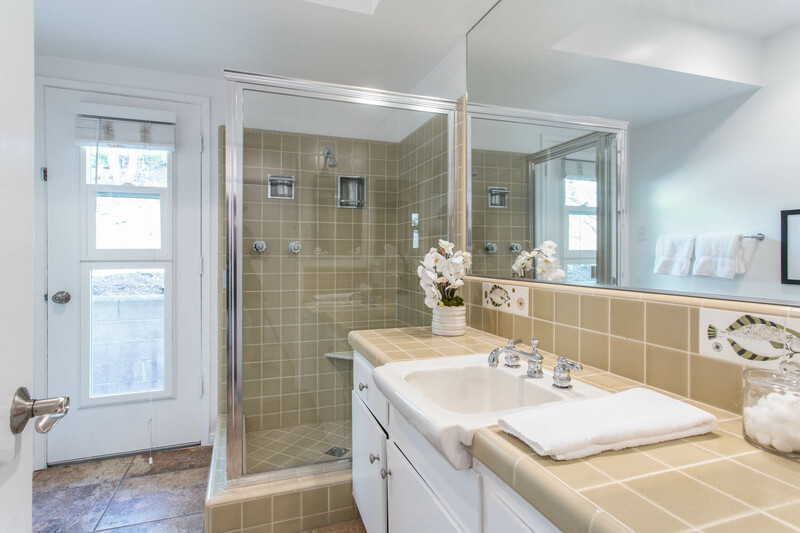 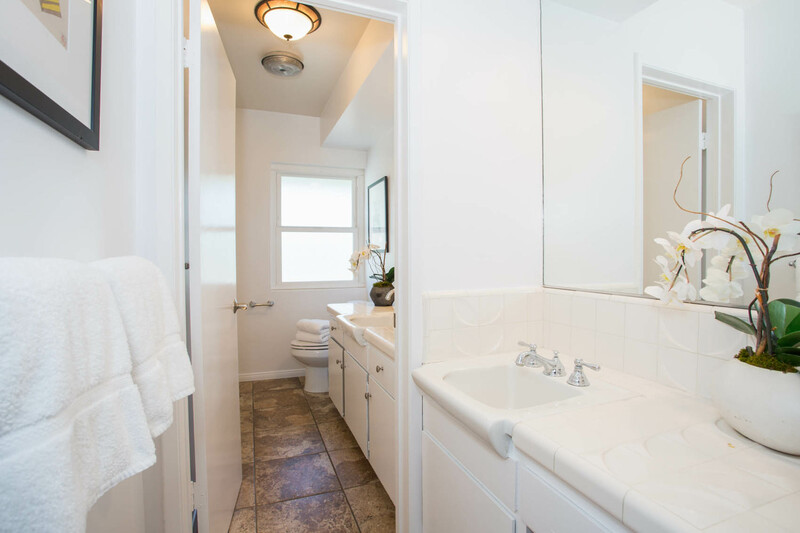 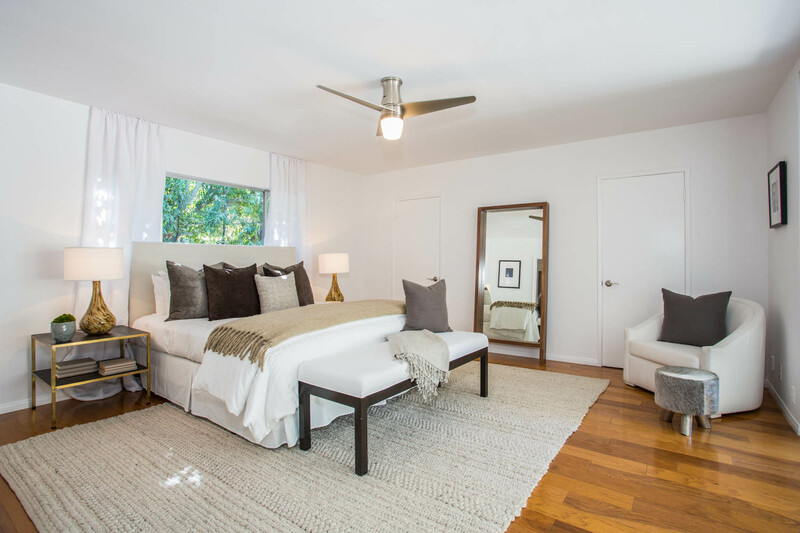 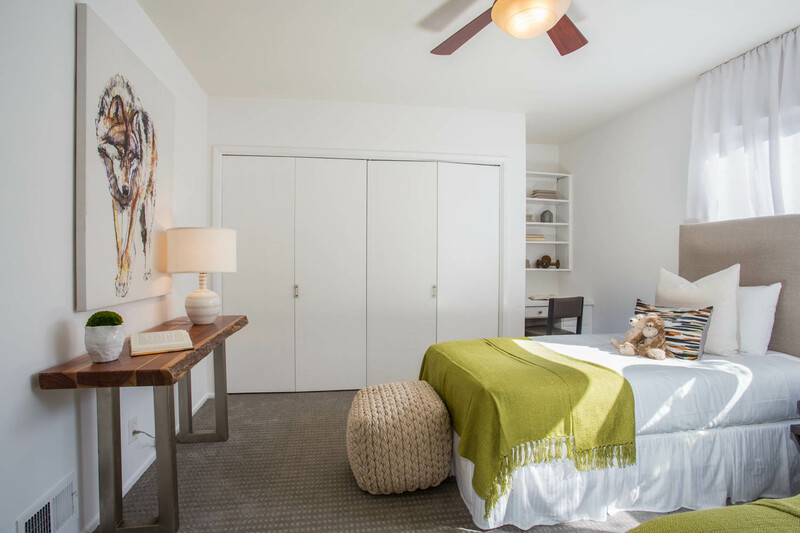 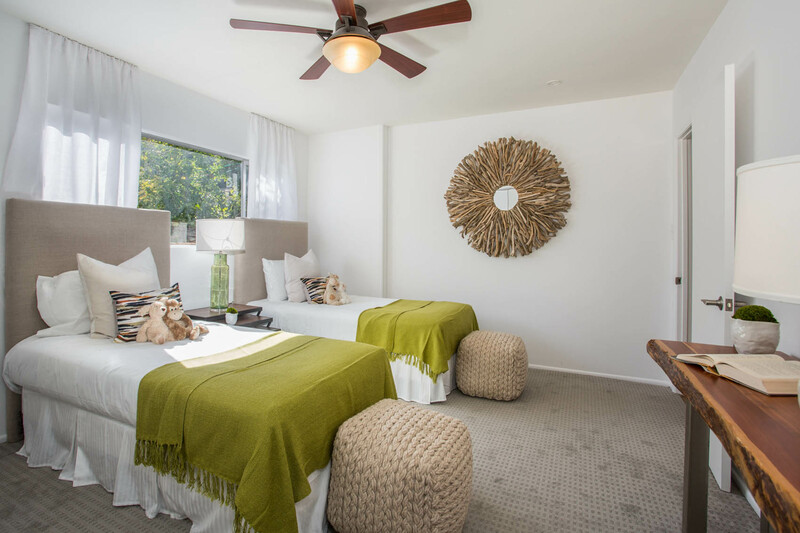 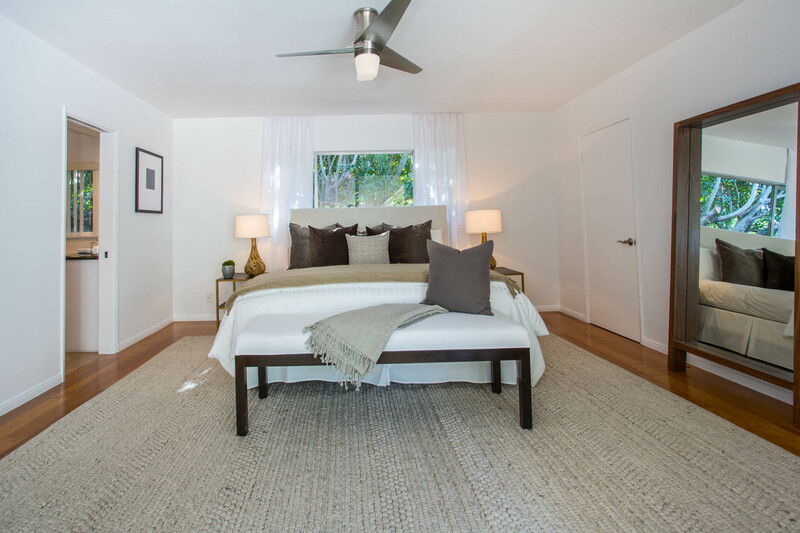 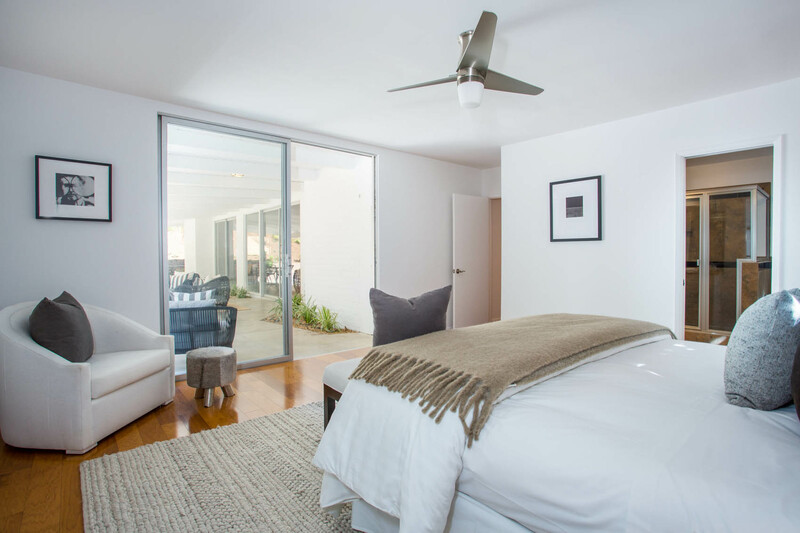 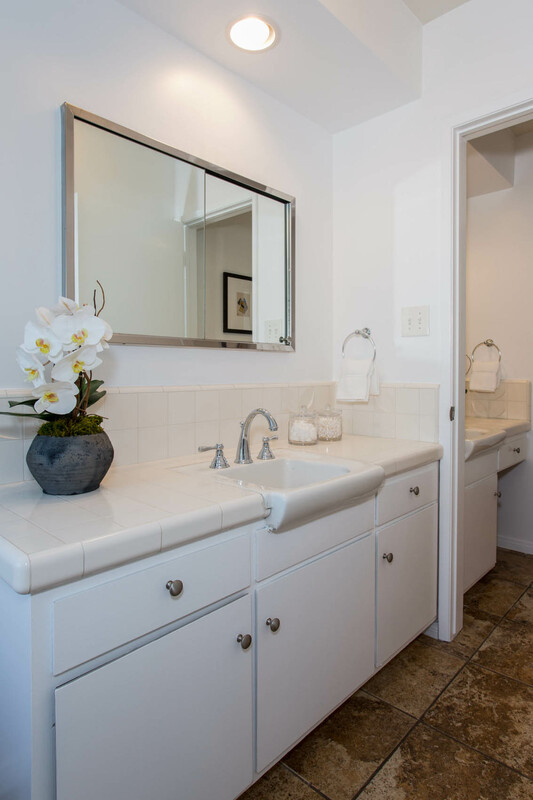 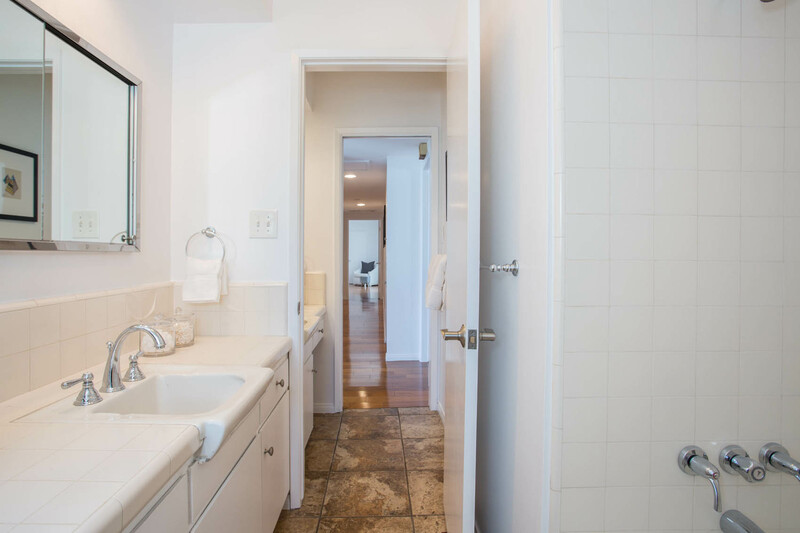 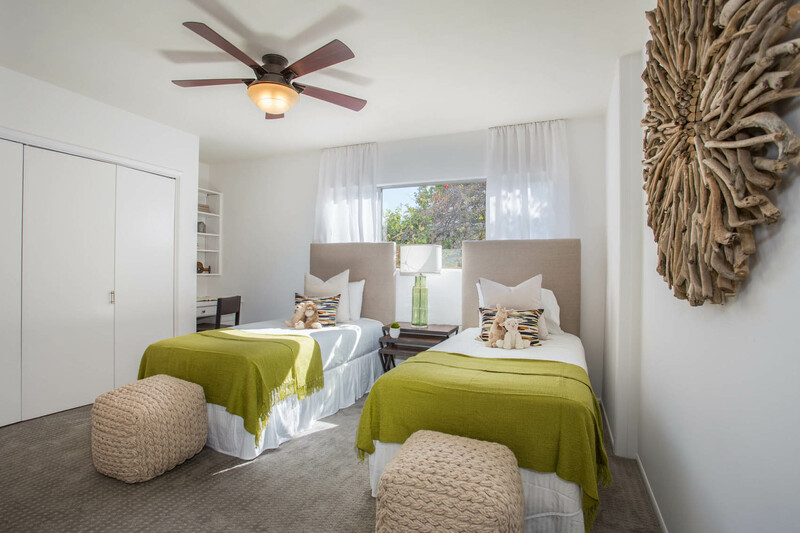 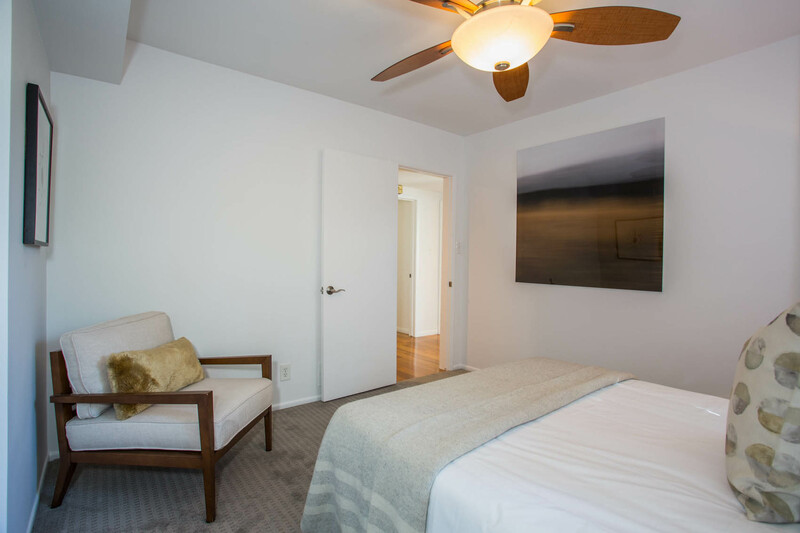 The master bedroom enjoys direct access to the patio and pool area, has an enormous double walk-in closet and a newly remodeled bathroom with double sinks, separate stall shower and tub. 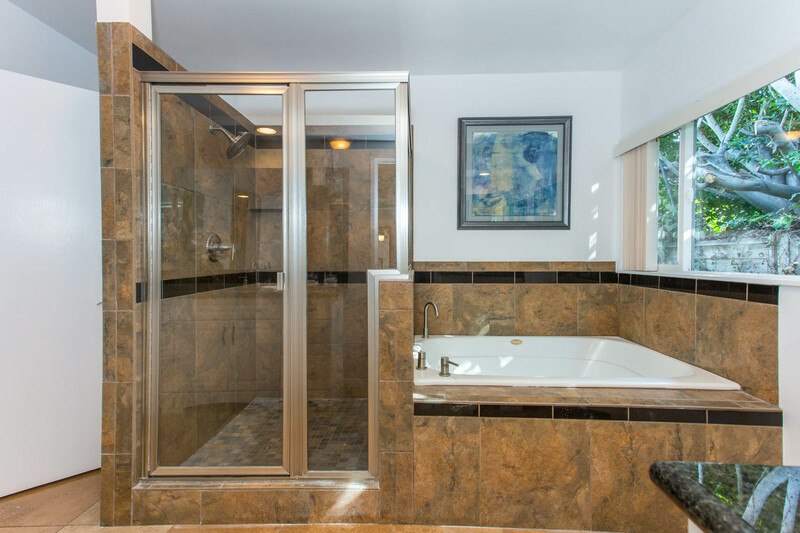 The other three bedrooms and two baths complete this perfect home. 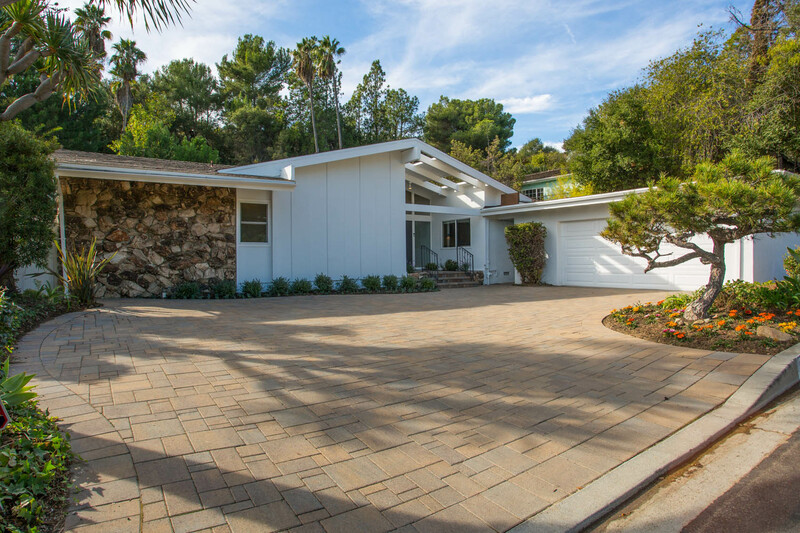 Additional features include: Hardwood floors, central heat and air, detached two car garage with ample parking on paver stone driveway and ample storage throughout. 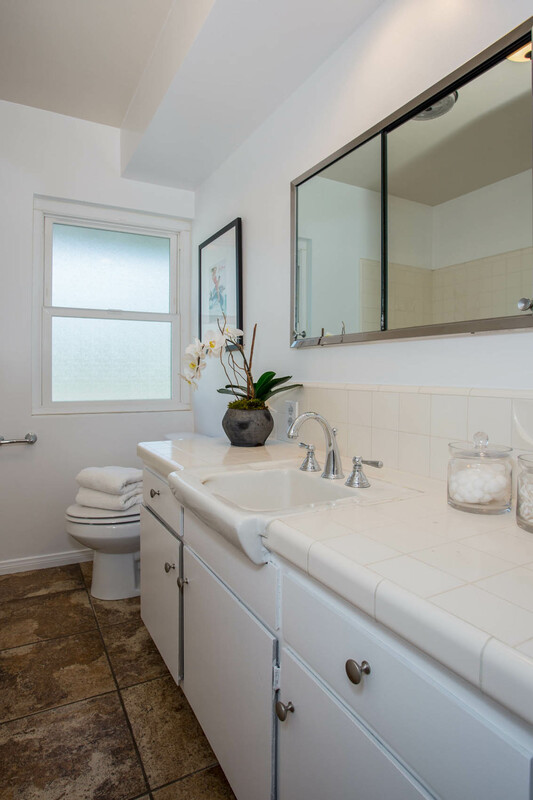 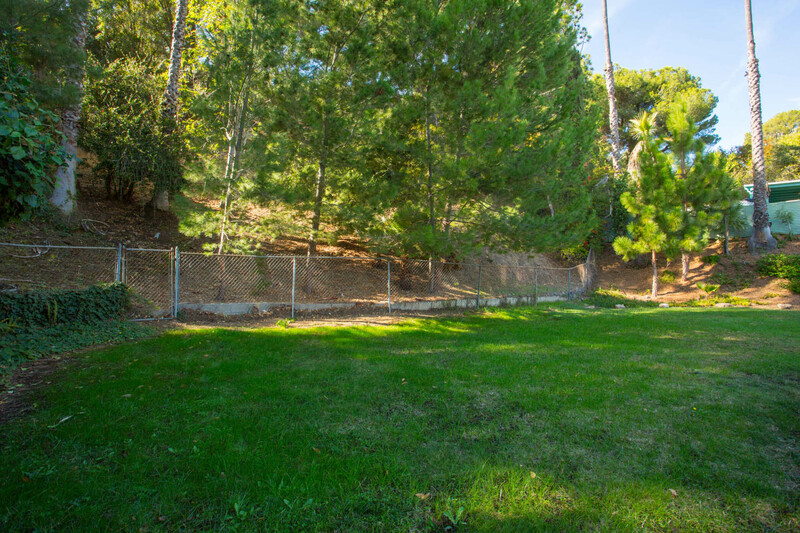 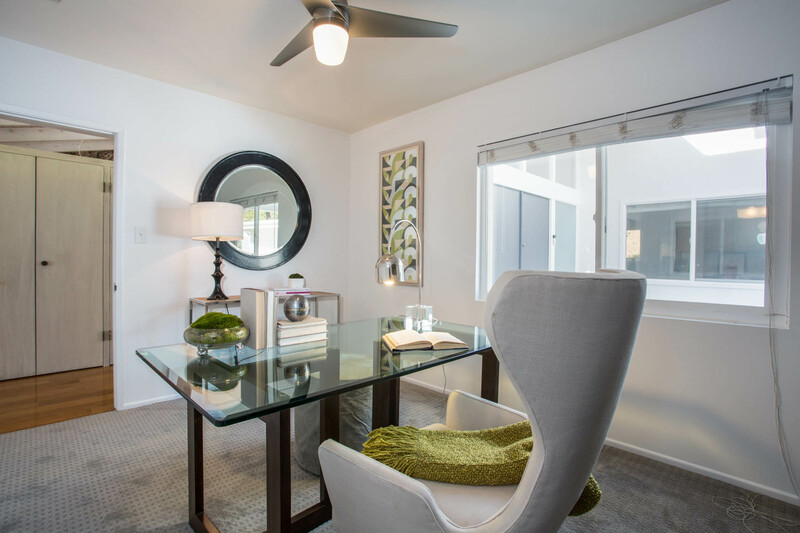 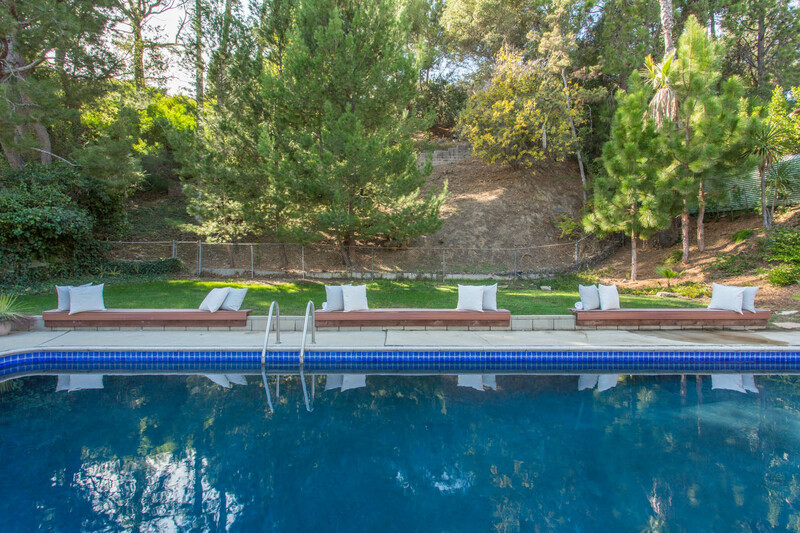 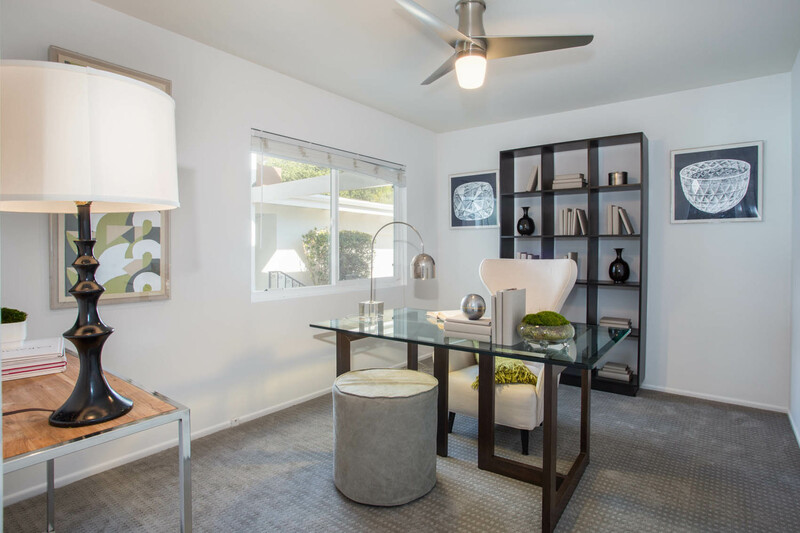 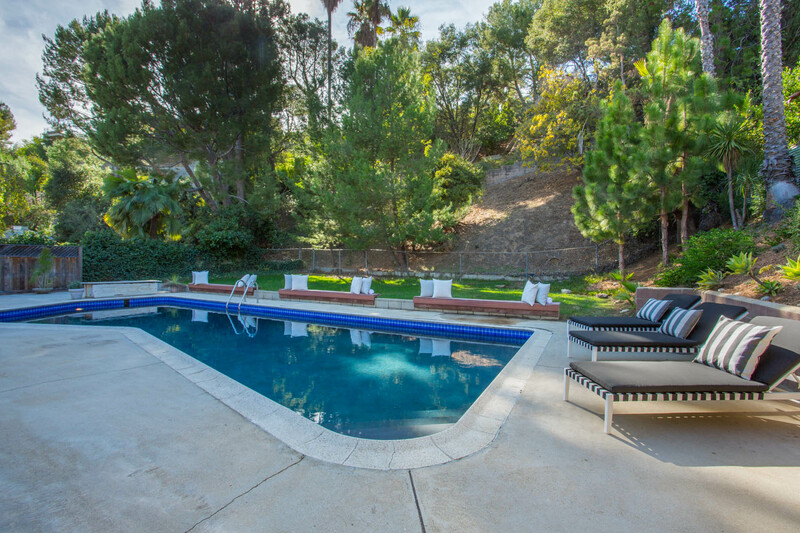 Located on North Kenter Canyon with great access to pastoral Crestwood Hills Park and in the coveted Kenter School District.